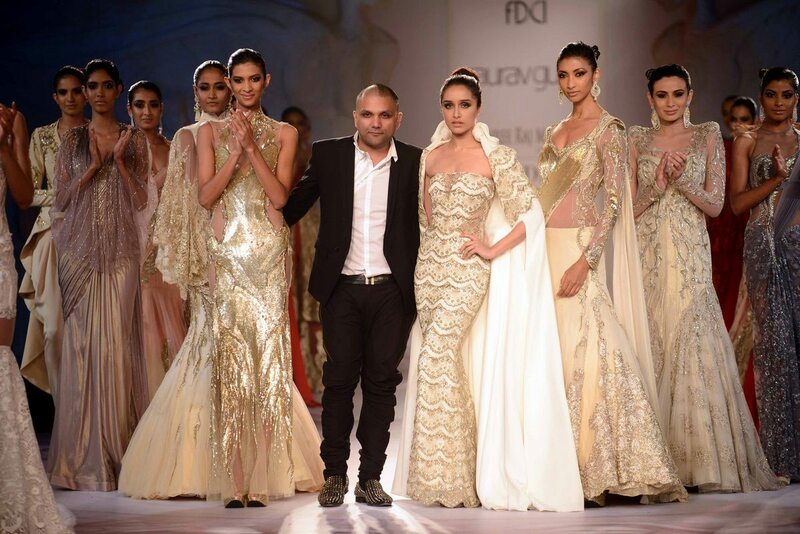 Shraddha Kapoor makes an elegant showstopper at the ICW 2014. Bollywood actress Shraddha Kapoor walked the ramp for the designer Gaurav Gupta on the fourth day of the India Couture Week (ICW) held in Delhi, on July 18, 2014. The actress turned a into a showstopper for Gupta’s ‘Wink Of Nyx’ collection, the Ek Villain actress oozed goddess like charm as she sashayed down the runway in an off shoulder white and golden sartorial masterpiece. The show was also attended by actor Rahul Khanna and Miss India Koyal Rana.